If you are suffering with Fibromyalgia, give us a call. We can help! Fibromyalgia is widespread muscle and skeletal pain. 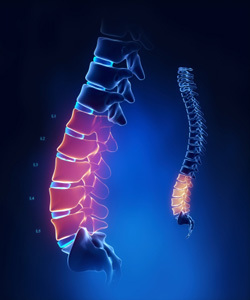 Widespread is defined as pain occurring on the right and left sides of the body, above and below the waist, and along the spine. Localized pain also must occur in a majority of identified “tender points” all over the surface of the body. A patient must have several symptoms present so that the diagnosis of fibromyalgia can be confirmed. Many patients have the symptoms but may not even know what fibromyalgia is. Others have been told by their MD that they “are on their way’ to having Fibromyalgia soon if nothing is done. Trigger points are areas of tenderness in a muscle. Trigger points may be associated with myofascial pain syndromes or Fibromyalgia. If you suffer with 11 of the 18 points, you may be suffering with Fibromyalgia. Please discuss these points while consulting your Doctor. Treatment begins when you are ready to find out the cause of your problem. Let Dr. Marsteller start you on the path to health. It begins with consulting Dr. Marsteller. After the consultation, an in depth exam will be performed if you qualify for treatment. Let Dr. Marsteller start you on the path to health.